Japan, the country most car enthusiasts look up to for inspiration or admiration in their creativity or uniqueness in the automotive realm. 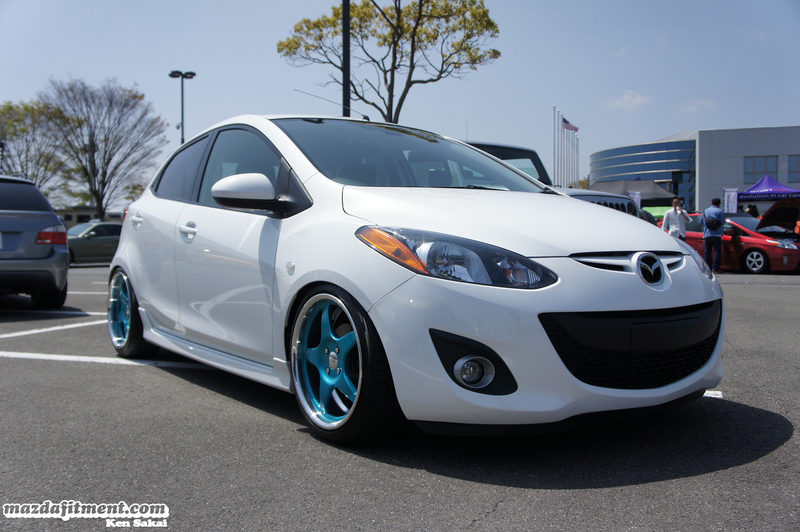 We would like to introduce Mazda Fitment Japan . This group of guys have been following and supporting MF even before we transitioned to MazdaFitment.com in 2010 to include a more world-wide view of what we believe in. So, they were following us when we were known as SCM or SocalMazda.net in 2009, which mainly focused on what we were doing locally in Southern California. So, here we are in 2012 to show our Japanese lovers some love. 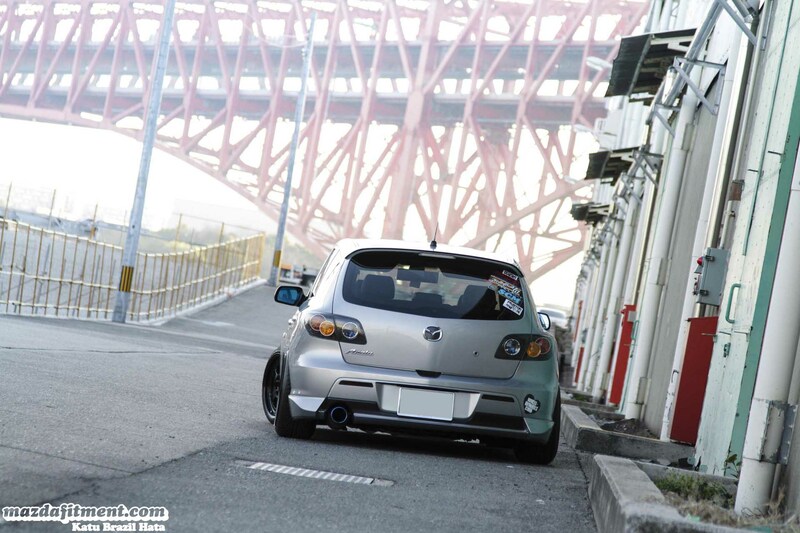 We have been talking and following our Japanese friends via Facebook over these past few years, and they are definitely an awesome group of enthusiasts. 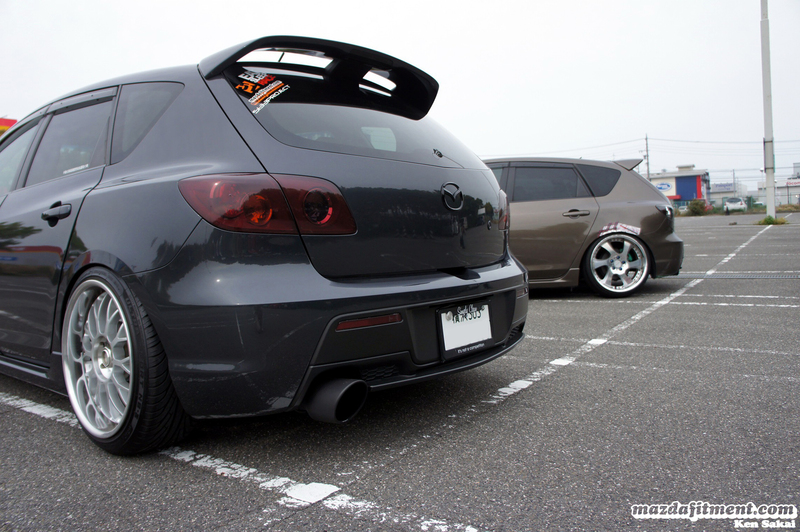 Ken Sakai and Kato Megane with their Mazdaspeed Axela. 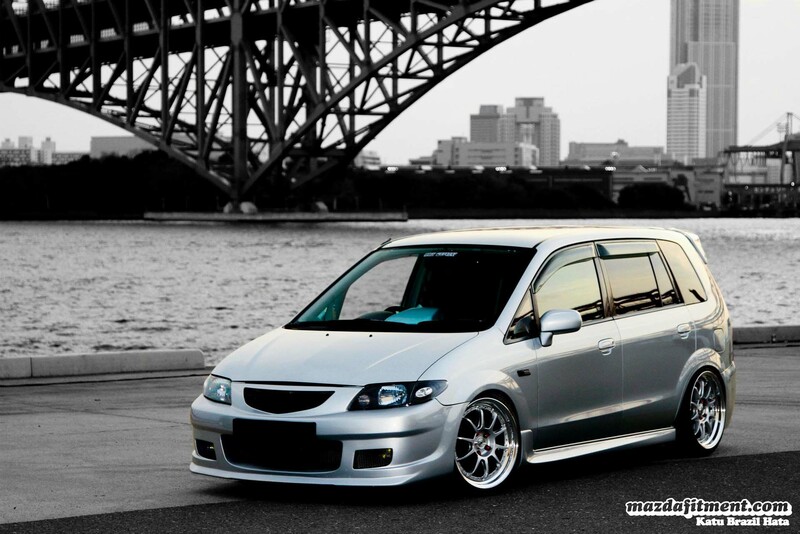 Kato’s Metropolitan Gray Mica Mazdaspeed Axela with an Autoexe front bumper. 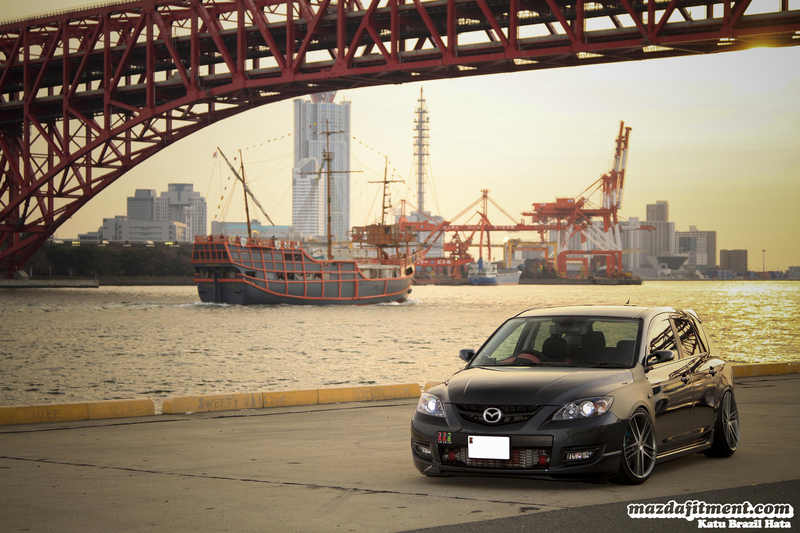 On Yokohama Wheel Siena Generation II 18×8.5 in the front and 18×9.5 in the rear. 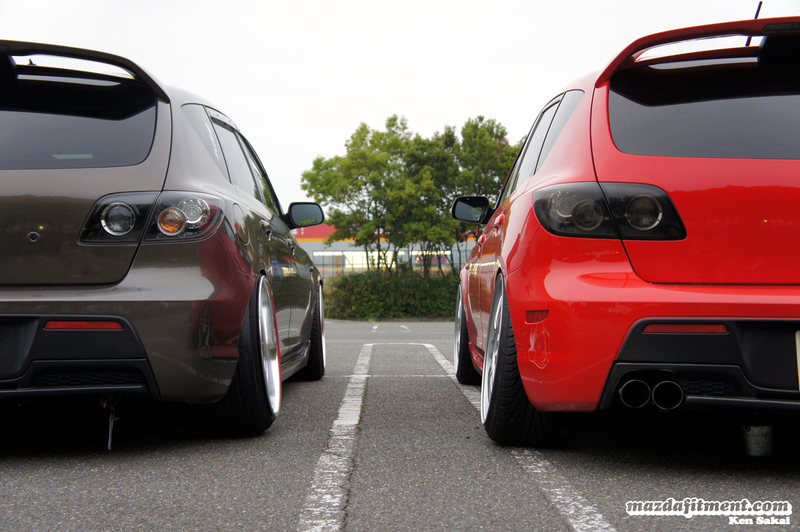 Representing and supporting Mazda Fitment with those stickers. Ken Sakai and Kazuhiko Izumi side to side. 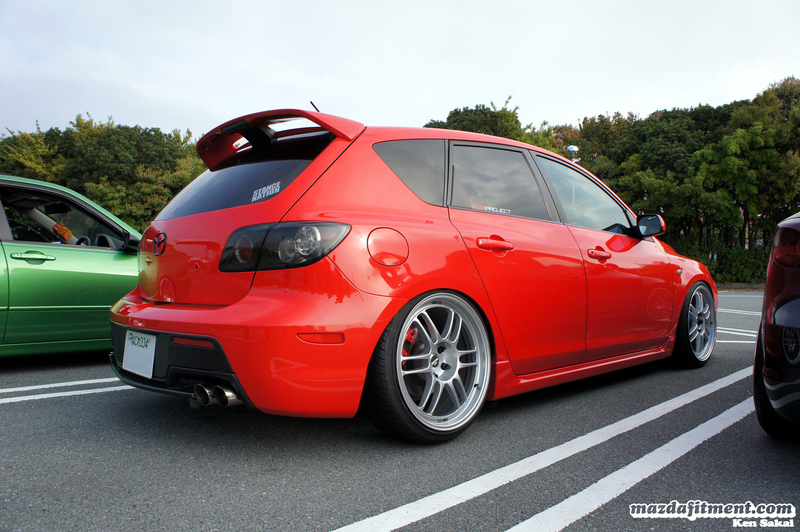 Kazuhiko’s True Red Mazaspeed Axela on Enkei Racing RPF1 in 18×8.5 +42 & 15mm spacer in the front, and 18×9.0 +18 in the rear. 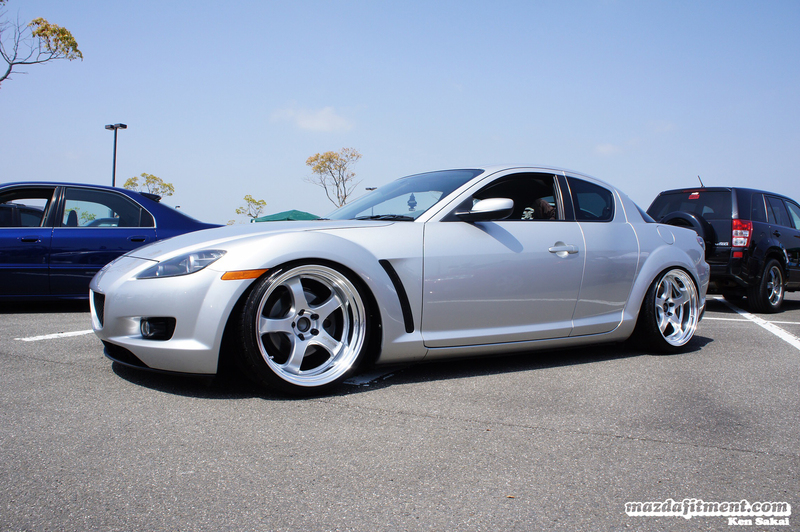 Iori Kiyohara’s Silver RX-8 on Work Meisters 19×11 with 265/30/19 tires all around. Check out that old school sticker back when we were SCM. Love it and it is in full color! 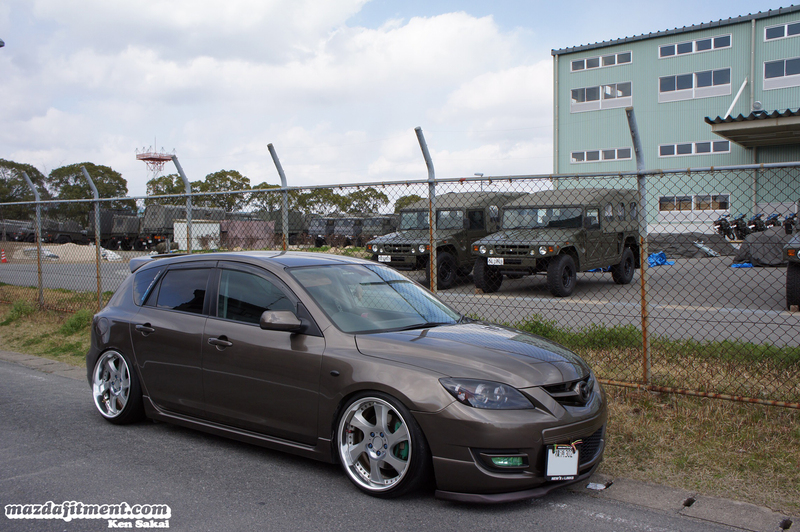 Katu Brazil Hata’s Mazdaspeed Axela and Kengo’s Mazda Premacy. 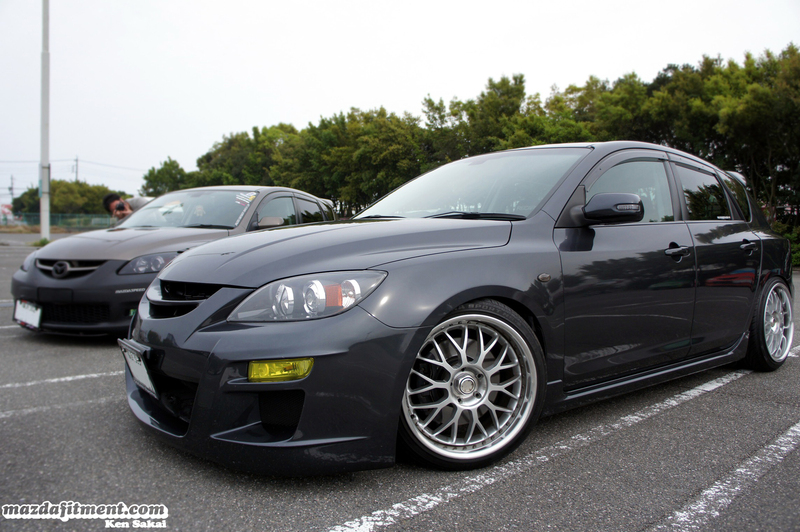 Katu’s Metropolitan Gray Mica Mazdaspeed Axela on Bailador Neeper 18×9 in the front and 19×9.5 in the rear. Kengo’s Silver Premacy on SSR Professor SP3. Hope you enjoyed our Japanese friends rides. Thanks for Ken and Katu for sharing the pictures with us to share. There are more pictures in the picture gallery below.